This paper presents an overview of the Volcan Project, whose goal is the realization of an autonomous aerial system able to perform aerial surveillance of volcanic areas and to analyze the composition of gases inside volcanic plumes. There are increasing experimental evidences that measuring the chemical composition of volcanic gases can contribute to forecast volcanic eruptions. However, in situ gas sampling is a difficult operation and often exposes scientists to significant risks. At this aim, an Unmanned Aircraft System equipped with remote sensing technologies, able to sense the plume in the proximity of the crater, has been developed. 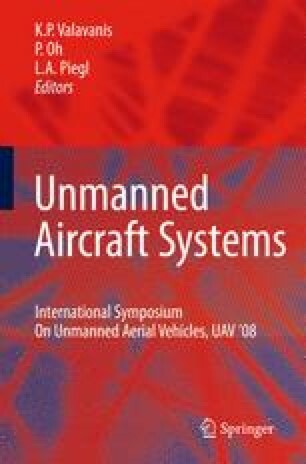 In this paper, the aerial platform will be presented, together with the problems related to the flight in a hard scenario like the volcanic one and the tests performed with the aim of finding the right configuration for the vehicle. The developed autonomous navigation system and the sensors unit for gas analysis will be introduced; at the end, several experimental results will be described.